Berry Toasted Coconut Smoothie. A healthier dairy free breakfast option without the refined sugars. 260 calories per serving. Vegan friendly. My pal Lyuba from Will Cook for Smiles loves coconut so I originally shared this recipe in a guest post on her blog last year. I figured it was time to share it on my blog today, in case you missed the recipe the first time around! Happy Monday. 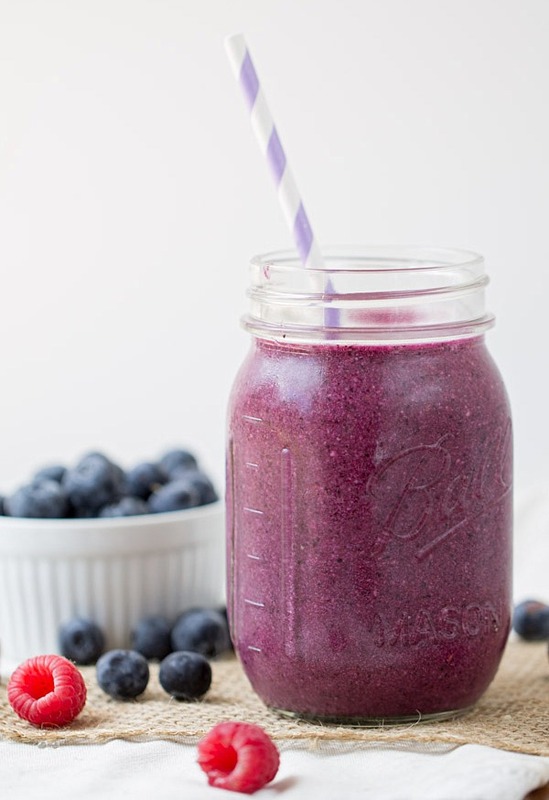 If you stuffed your face with a ton of unhealthy foods, like BBQ ribs, smoked pork, mac and cheese and baked beans with BACON like I did yesterday, then a healthier smoothie is probably calling your name this morning. I’ve got just the smoothie for you – this Berry Toasted Coconut Smoothie! When you make smoothies at home, you can control what goes into them. What’s in this smoothie? 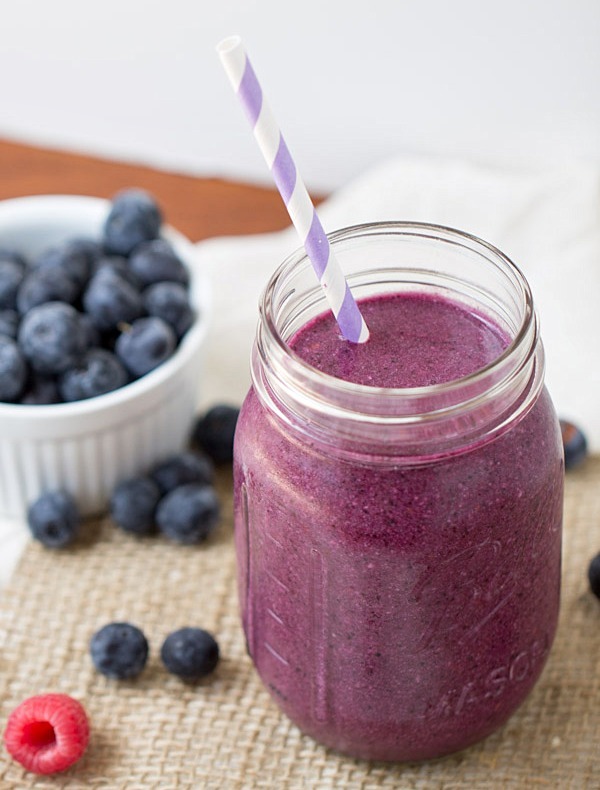 How about what’s NOT in this smoothie – No refined sugars. No dairy. No weird ingredients. The only thing you’ll find in this smoothie is fruit, coconut milk and toasted coconut. The first time I made this Berry Toasted Coconut Smoothie I used full fat canned coconut milk. But recently I tried out the unsweetened vanilla coconut milk that comes in a carton. Works just the same and reduces the calories by 67% and the fat by 29%! It will also save you some cash as well because it’s much cheaper which means more bang for your buck and more money for that cute pair of shoes you saw last week. Toast the coconut. Line a baking sheet with parchment paper. Place the coconut on the baking sheet in a single layer. Bake at 350 for 3-5 minutes or until lightly golden in color. Prepare the smoothie. Place all ingredients into a blender. Blend on medium-high speed (speed 7 on a Ninja blender) until well blended. Serve in 10-12 oz glasses. If you won't be consuming both smoothies at the same time, you can cover and store the smoothie in your freezer. Remove from freezer approximately 1 hour before consuming or place in the microwave for a few seconds at a time to defrost it a little. Your site looks great, Julie! Very clean and professional for sure. It turned out really well! I love the color of this, yum! I’m allergic to coconut but I think it would be ok to leave it out. Thanks for sharing! I love when I see your delicious treats show up on Instagram, but I hate waiting for the recipe ;) Can’t wait to try these, the toasted coconut flavor sounds divine! Heading over to check out the recipe. LOVE the new site! Oh, Julie, it looks AMAZING. I love the recent posts, with the circle photos – I’m such a sucker for those :) And yes, it IS a smoothielicious day! Clicking over to check it out! Julie, what a gorgeous smoothie! Love that it has coconut in it. Heading over to snag the recipe and pinning! Congrats on your gorgeous redesign – and this smoothie looks delicious. Simple stuff is the best! Julie , the site looks wonderful!!! 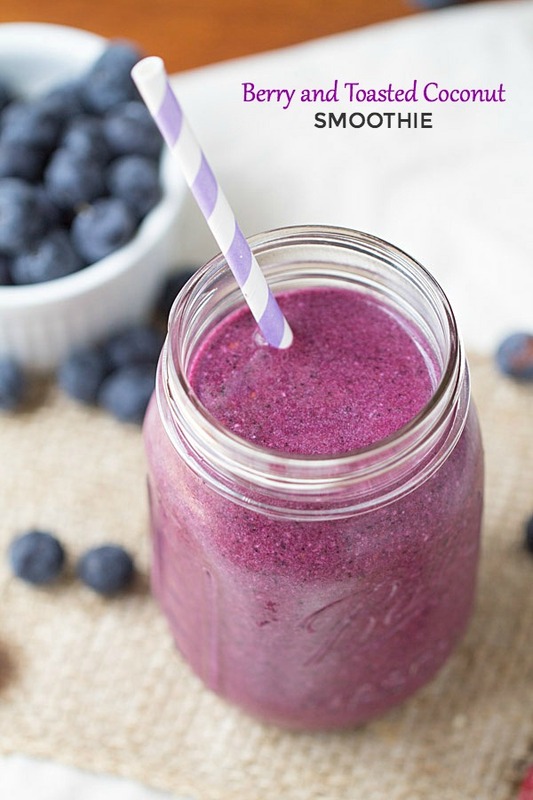 Plus, I love this smoothie and the color is amazing. Over to get the recipe – have a great day! The new site is beautiful!!! I love the homepage and how it’s different from blog layout! Of course all the details are so you!! 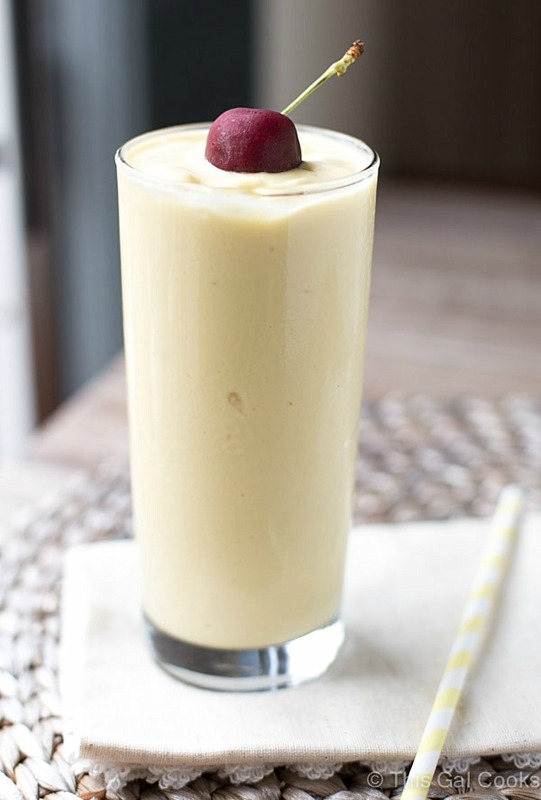 As for this smoothie, well I am a coconut fan and just can’t wait to try. Heading over now! Your site is gorgeous! 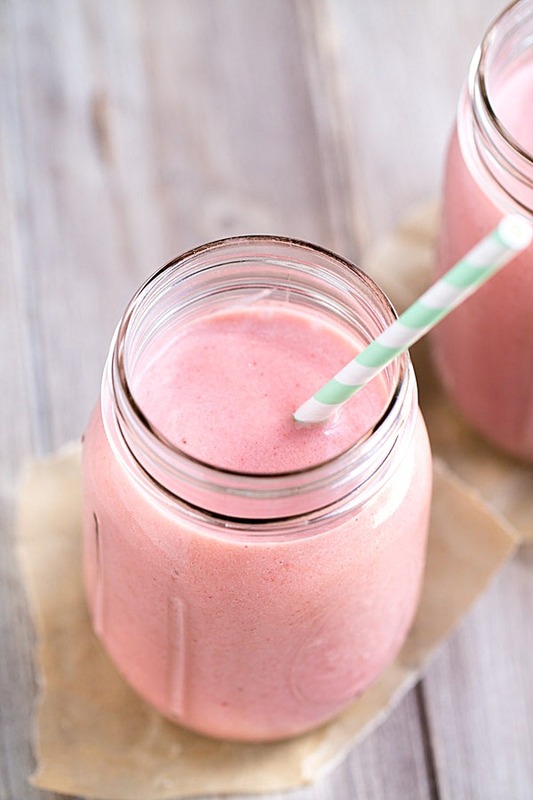 Super clean and inviting :) Beautiful smoothie as well! I love the idea of adding toasted coconut to a smoothie! Yum!! This looks awesome! I love smoothies and am just starting to introduce them to my daughter. Thanks Kate! Glad you are introducing them to your daughter. Great to get them started on the healthier options when they’re younger! Why have I never put coconut in my smoothie?! I love this Julie! You’ve gotta try it, Beth! It’s great! Thanks for the pin and for your sweet comment too, Ilona! The new design is so gorgeous! And I love this smoothie. I especially love the coconut milk! 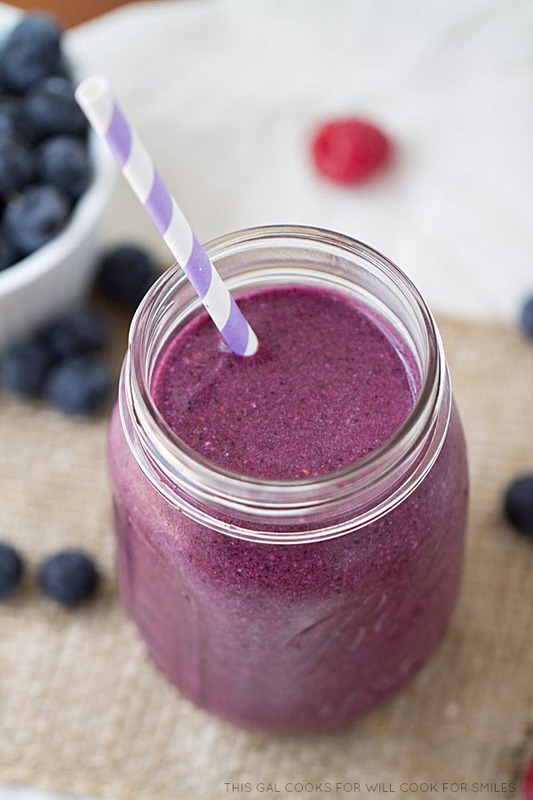 I am always looking for new smoothie recipes, so I will definitely give this a try! Hope you enjoy it, Charbel! It is so pretty! I’m definitely making it soon! Thanks Amanda! Hope you enjoy it as much as I did! The shredded coconut was a great idea to add. Great flavor with the berries! Thanks for the pin and your sweet comment, Olivia! HAPPY ST.PATTY’S DAY TO YOU!